Imagine the love child of Matisse and Patrick Caulfield, and you’ll have an idea of the vibrant colours, psychedelic patterns and bold outlines that characterise the work of Melbourne artist Howard Arkley. We’re wowed by his depictions of suburban houses, domestic interiors and furniture, captured in acid brights with spraypainted flair. ‘Howard Arkley (and friends...)’, a retrospective at the TarraWarra Museum of Art in Victoria’s Yarra Valley, an hour's drive from Melbourne, runs until this Sunday 28 February 2016. It includes more than 60 works created from 1974 until Arkley’s untimely death from a heroin overdose in 1999, including iconic and unseen pieces. Born in 1951, Arkley grew up in the Melbourne suburb of Surrey Hills, and was turned on to drawing after seeing seminal Australian artist Sidney Nolan’s surreal bush paintings. Other influences included Melbourne artist John Brack’s cartoonish, graphic paintings. An early art teacher introduced him to airbrushing, which Arkley used like a pen. Although Arkley's work spans portraits, sparse black and white abstracts and urban landscapes filled with freeways and flyovers, his electrifying suburban paintings are his calling card. He was fascinated by popular decoration and neat suburban taste, from the Art Deco motifs of fly-screen wire doors to patterned quilts and curtains, Laminex surfaces and Lino floors, upholstery and brickwork. The Technicolor canvases feel optimistic, not cynical; home really is sweet home. His brilliantly banal suburban vernacular was also a break away from the country’s romanticised obsession with its rural landscapes, although indoor cacti get a look-in. 'Arkley pursued a singular vision that incorporated aspects of high art and popular culture, such as punk and pop; a love of urban and suburban imagery and architecture; an ongoing preoccupation with pattern and colour; and a life-long dialogue with abstraction,' says TarraWarra Museum of Art director Victoria Lynn. Music and sampling also inspired Arkley’s art and his influences spanned The Birthday Party, Iggy Pop, The Cramps, Kraftwerk, Talking Heads, Tom Waits and Nick Cave and the Bad Seeds (his Pop Art portrait of friend Cave is fabulous). Arkley's record collection soundtracks the exhibition (download select tunes from Spotify). The high point of Arkley’s career was his ‘Home Show’ at the Australian Pavilion of the 48th Venice Biennale in 1999, featuring his grand work ‘Fabricated Rooms’ (1997-99), a luminous room set that wrapped around the walls. Arkley’s death later that year cut short his colourful talent. 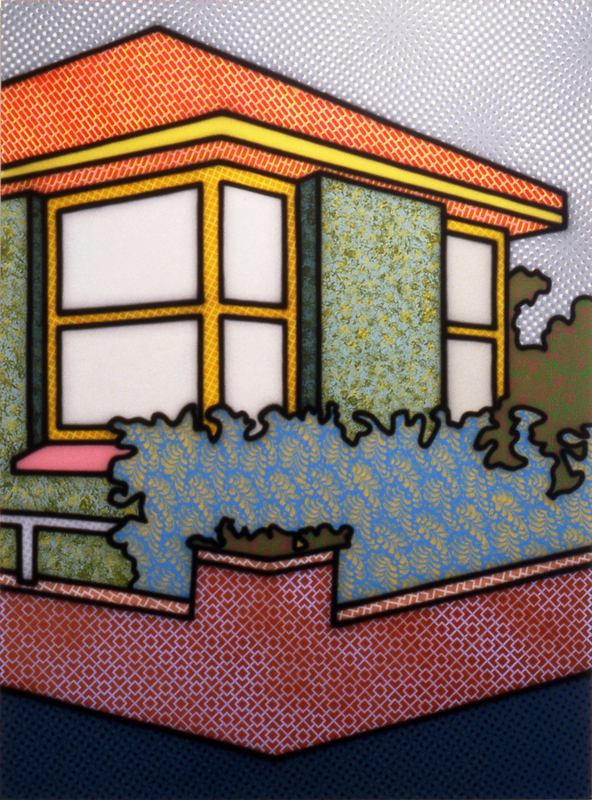 'Howard Arkley (and friends...)' is at TarraWarra Museum of Art, 311 Healesville-Yarra Glen Road, Healesville, Victoria until Sunday 28 February 2016; open 11am-5pm.